Origins was conceived as a sister album to Evolve, continuing its predecessor's sonic explorations. "It's about seeking new ground but also appreciating your root," says lead vocalist Dan Reynolds, whose band mates include guitarist Wayne Sermon, bassist Ben McKee, and drummer Daniel Platzman. "When we create, we create with no boundaries, no rules. We find it thrilling to make music that feels different and new to us." 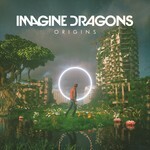 Imagine Dragons joined forces with producers Joel Little (Lorde, Khalid), Mattman & Robin (Selena Gomez, Carly Rae Jepsen), and John Hill (Florence + the Machine) to sculpt the kaleidoscopic and kinetically charged sound of Origins.